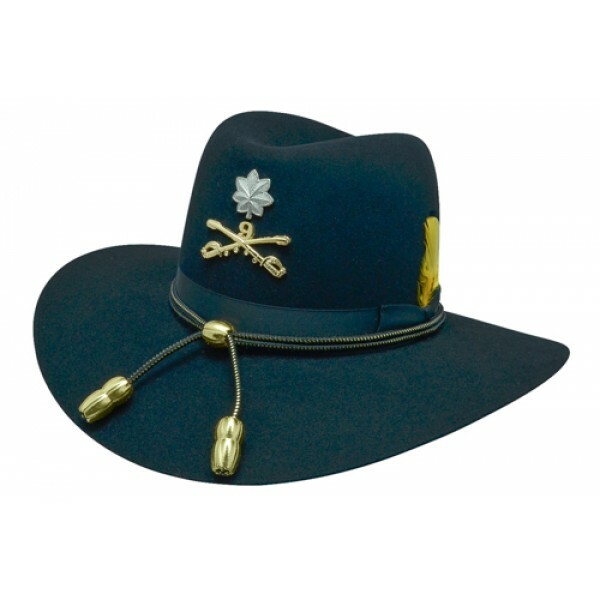 The 9th Cavalry Saber Hat Pin and the Silver Lt. Col.Rank was worn in the movie. 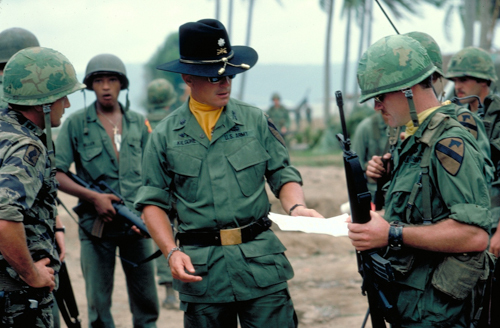 “Apocalypse Now” starring Robert Duvall as Lt. 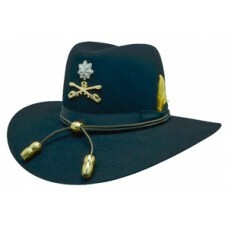 Colonel Kilgore, is outfitted with different cavalry hat styles all with similar qualities. In some cases he wore the “Kilgore” with the 9th cavalry sabers, the Lt. Col. Rank insignia, and the black and gold acorn band with gold acorns, while in others he simply wore the cross-sabers pin with no rank. 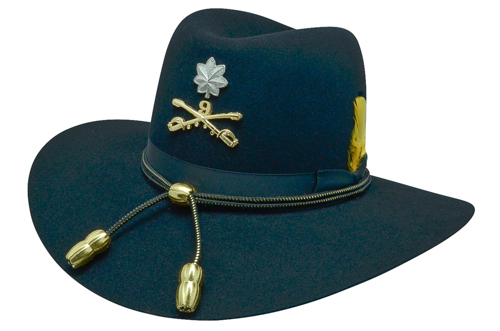 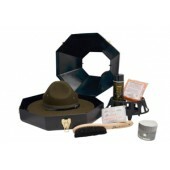 After the premiere of the “Apocalypse Now” movie, this Hollywood Legend made the “Kilgore hat” very popular, the high crown, medium brim, and the enlisted cross-sabers are recognizable nationwide. 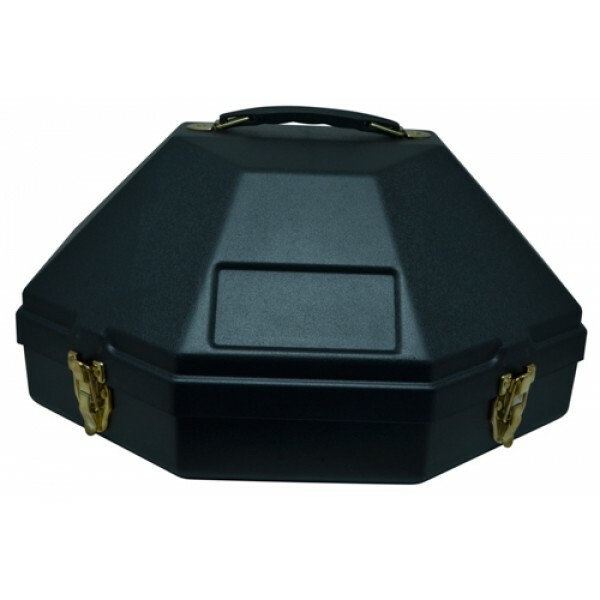 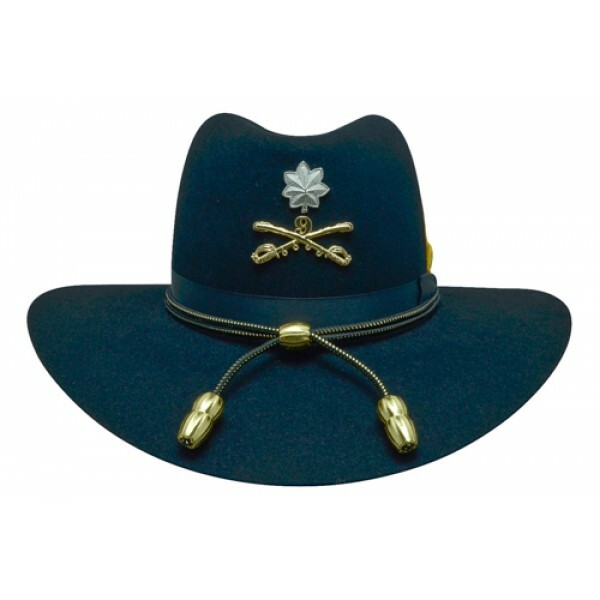 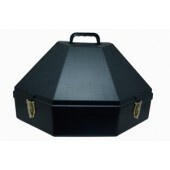 This hat is very popular amongst cavalry troops and their squads. 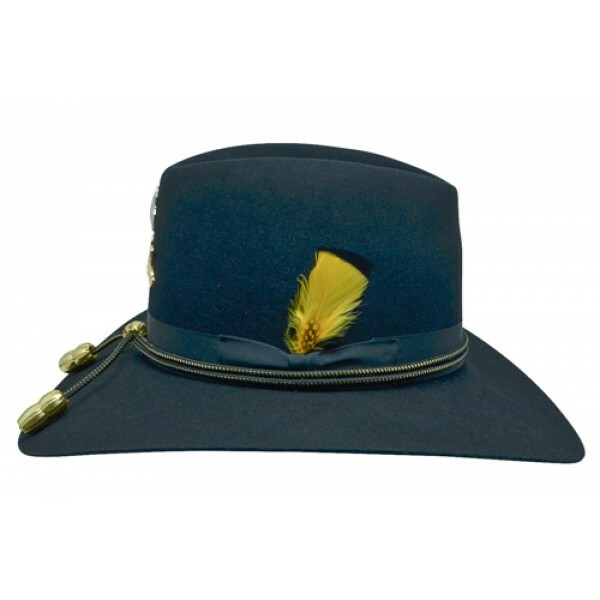 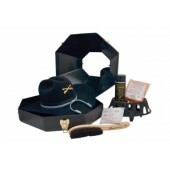 Miller Hats has done extensive research and concluded with a style that we feel best fits the one worn by Lt. 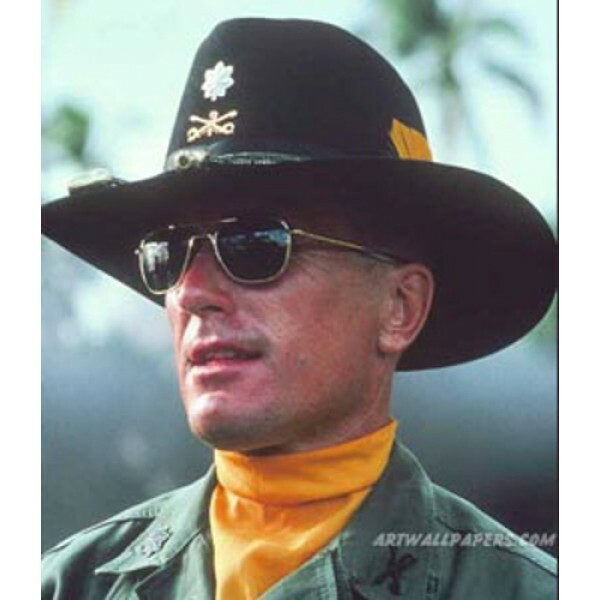 Colonel Kilgore in “Apocalypse Now”; we take pride in providing our customers with the finest quality hats.